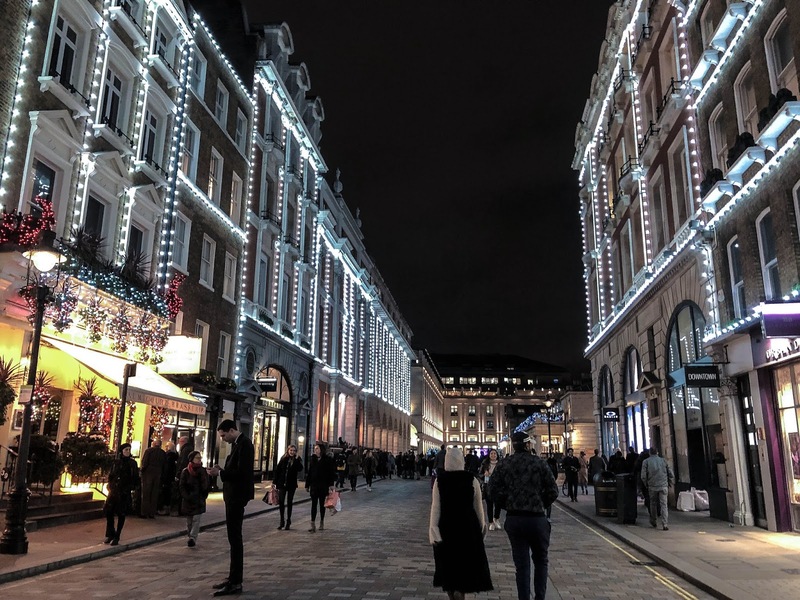 The festive season is probably the best time to visit London, whether you're a UK resident or here on holiday, there's so much to do and see, no matter how long you're in the capital for. 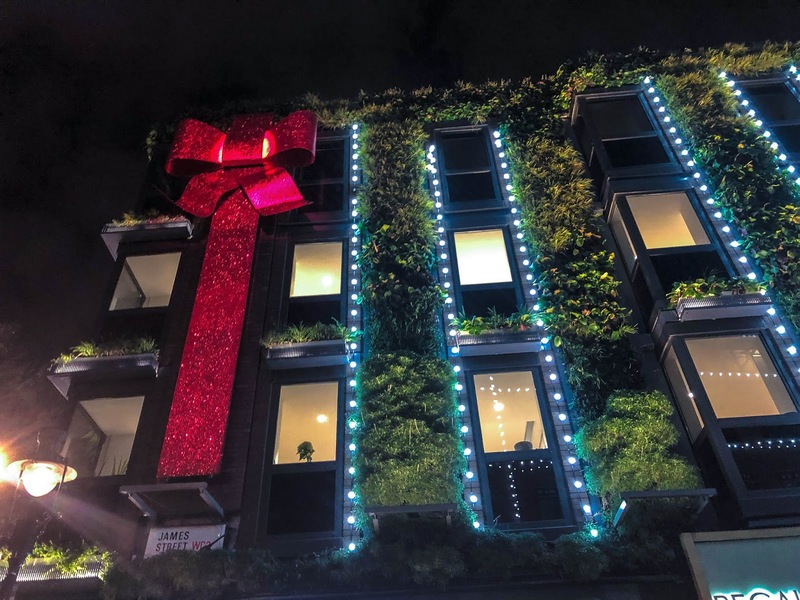 I would certainly recommend staying somewhere central - there's hundreds of affordable hostels and boutique hotels in Covent Garden* and surrounding central locations where you get the best views, locality to most of London's hottest tourist spots and well, you honestly cannot get more festive than central, especially for Christmas shopping! 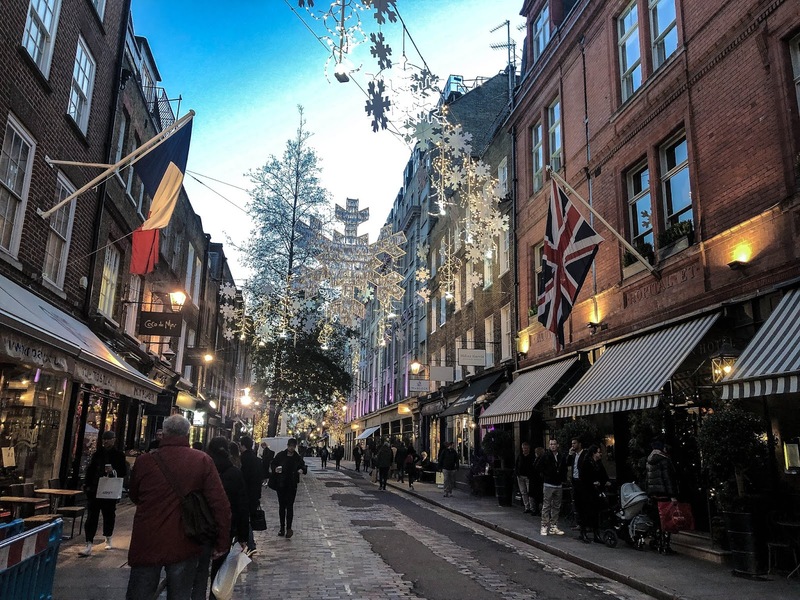 After work, we jumped on the central line to Covent Garden and found ourselves in one of the most festively decorated areas of London, almost like a winter wonderland! Working in the city is great, as it means I'm just a short distance from some of the most amazing places. 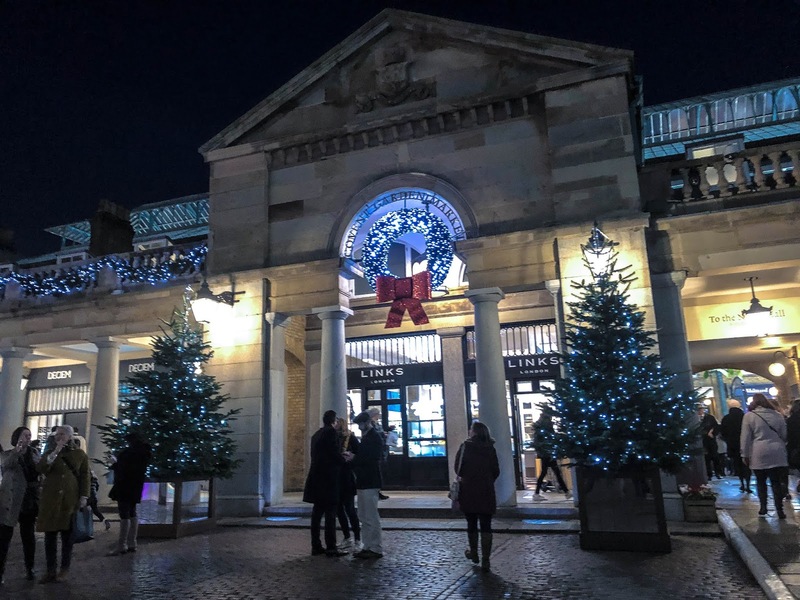 Since moving to Bedfordshire, it's become more and more difficult to travel there outside of work hours, so it's always great to utilise my time if I'm already in the city. 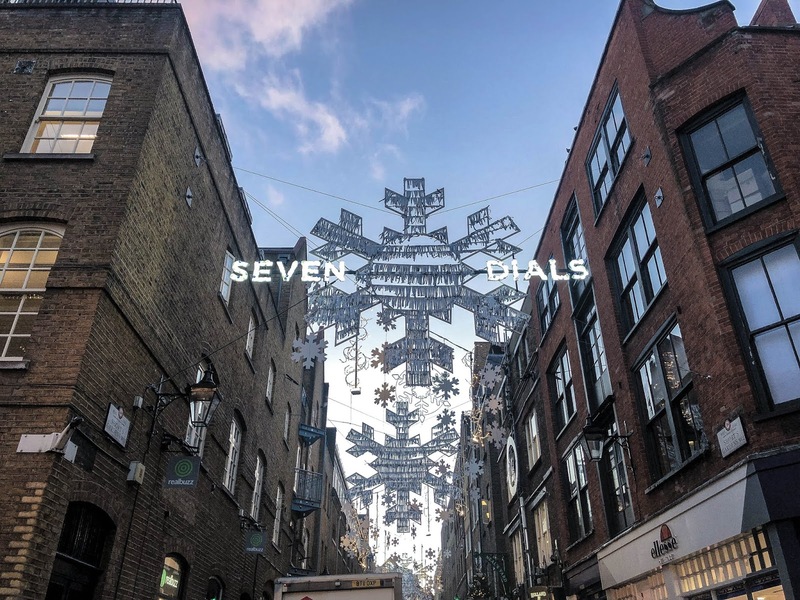 Getting off the tube at Holborn allowed us to walk down some backstreets in search of lesser-visited shops and boutiques, however we very quickly stumbled into the Christmas lover's paradise that is Seven Dials. 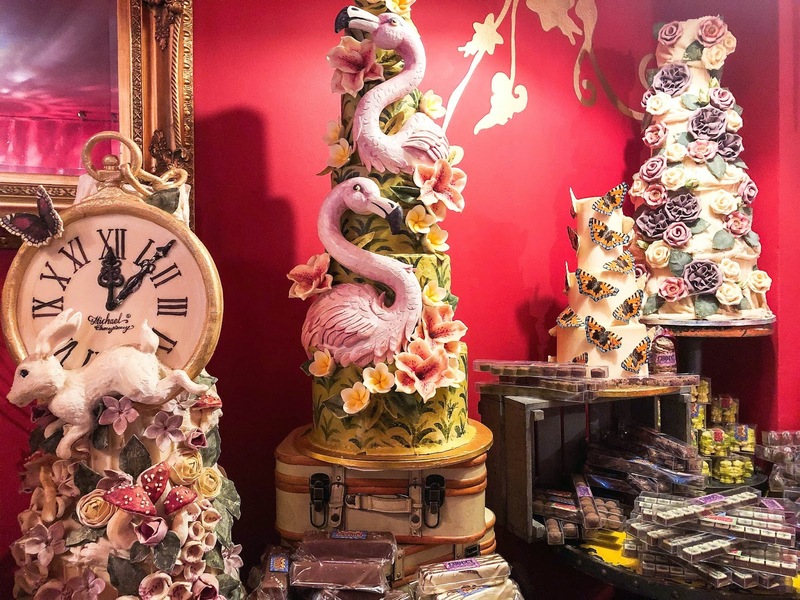 The first stop was Choccywoccydoodah chocolatier and cake shop on Short's Gardens. If you're a chocolate lover like me, you'll be utterly awestruck entering this Narnia, filled with.. you guessed it.. chocolate! 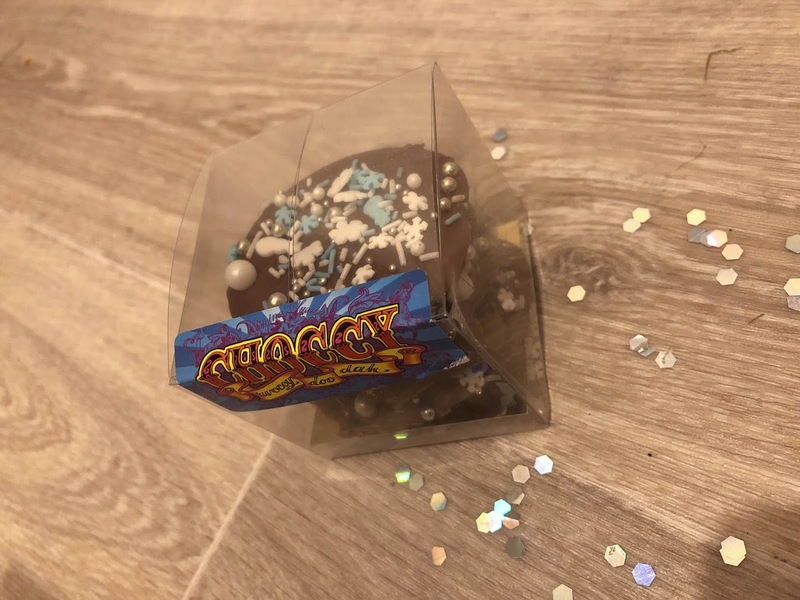 The intricate cakes, chocolate slabs and advent calendars that filled every inch of the store were incredible, but my eyes were immediately drawn to the christmassy chocolate, topped with pearls, sprinkles and snowman shapes - I just had to buy some. Needless to say, they didn't last long! 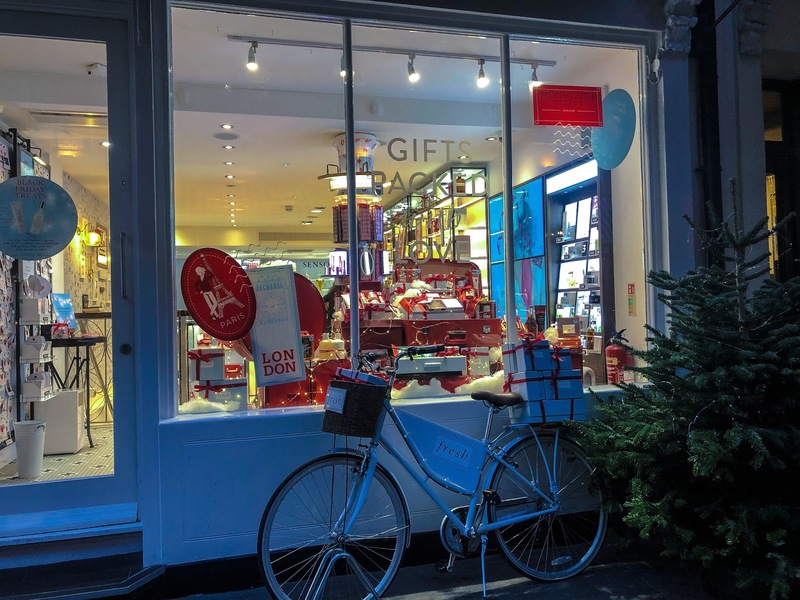 If you're in search for a Christmas gift for yourself, a friend, or a loved one, this store has gifts in abundance for chocolate lovers. 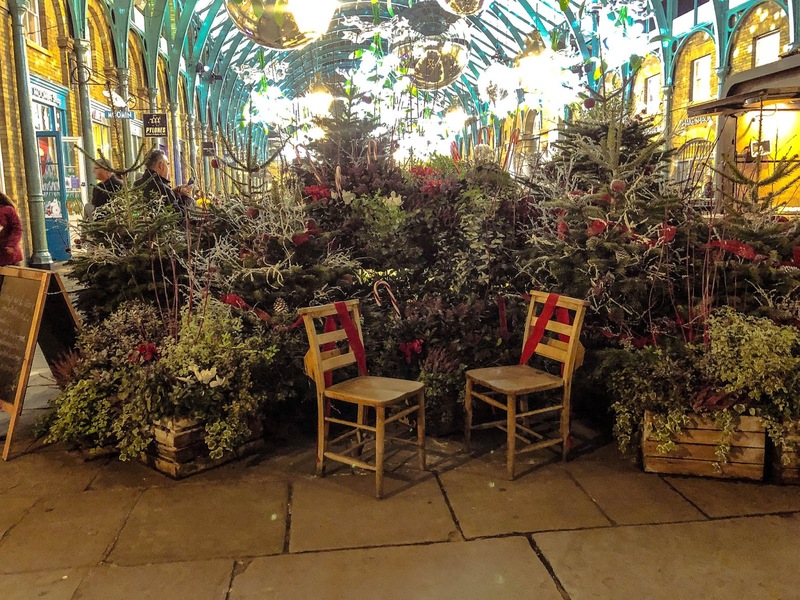 Also, if you head downstairs, you'll find a secret, secluded cafe where they serve slices of cake, coffee and hot chocolate that are just to die for - a great warmer-upper for these cold winter evenings in the run up to the big day. 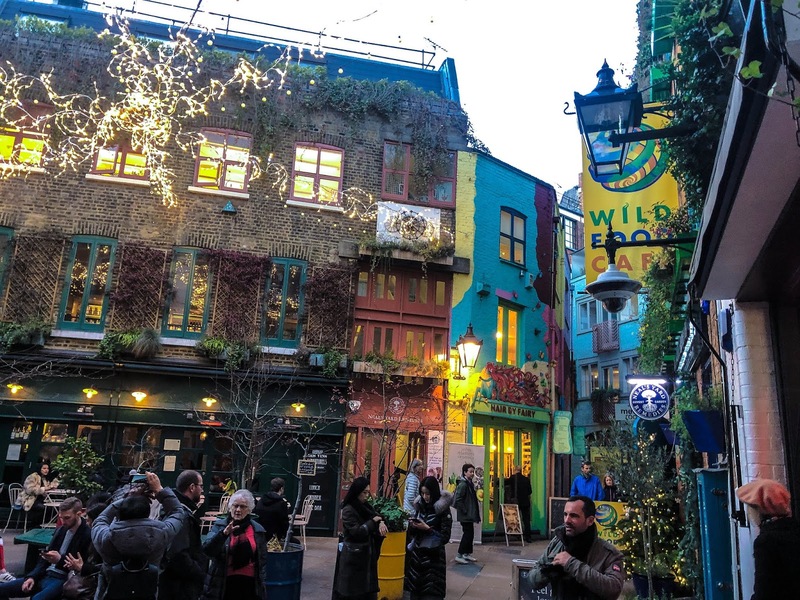 Hidden away down another side road, you can find Neal's Yard, which isn't just an amazing skincare brand, but a very vibrant little nook, right by Covent Garden, filled with little cafes, hair salons and of course, Neal's Yard Remedies. Stopping here for a few photos for the 'gram was a must. 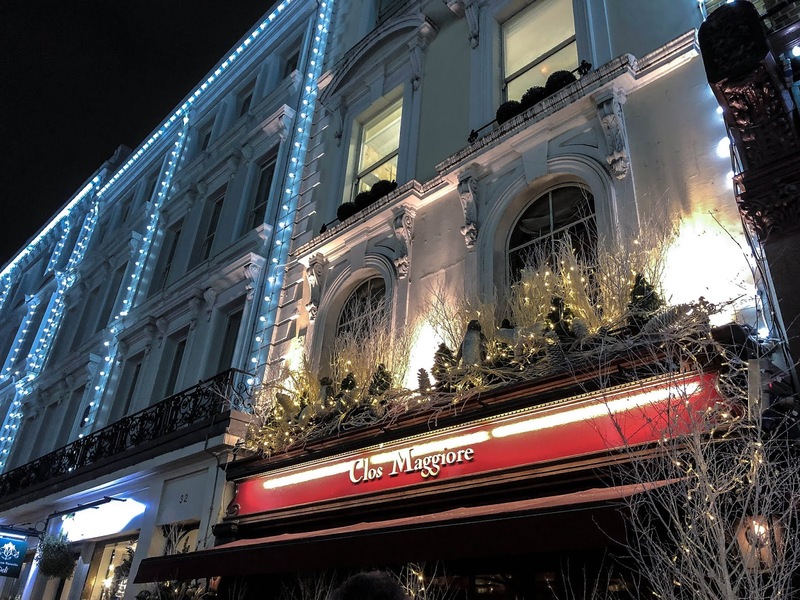 If you stay long enough for it to turn dark, it turns into the most picturesque corner of London with the Christmas lights twinkling above you, it's just so cute! 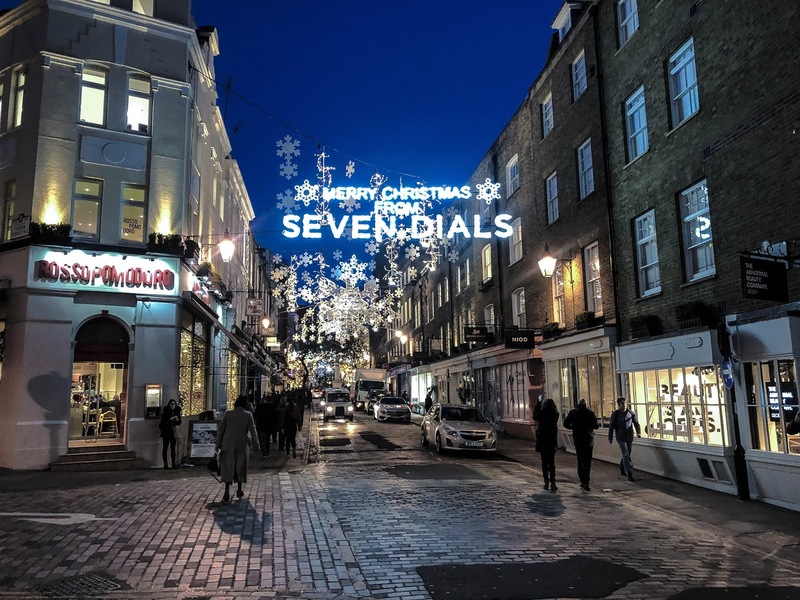 Heading further towards Covent Garden, you'll pass through Monmouth Street which is once again, filled with the most adorable little boutiques and restaurants that are all draped in festive lights and decor, with the same street decorations hanging above as around Seven Dials. 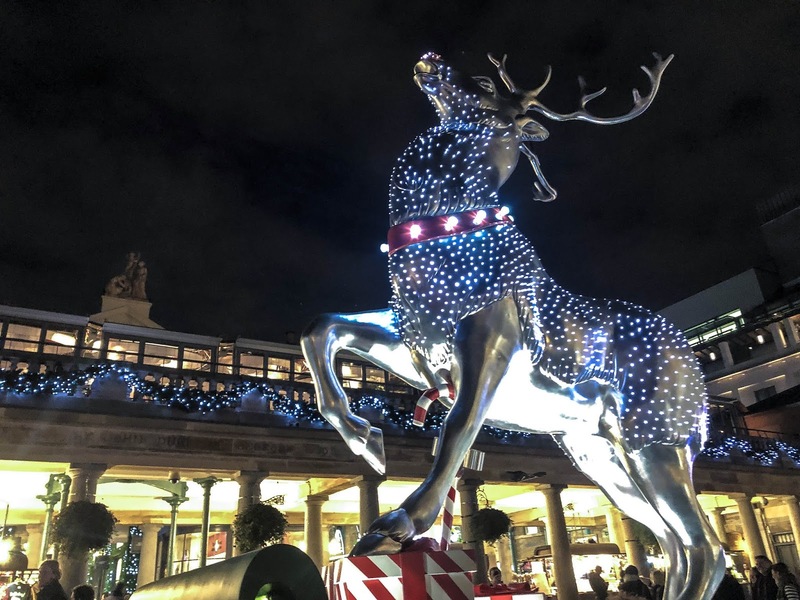 Who needs Hyde Park's Winter Wonderland, when this corner of London is just as festive and beautiful?! 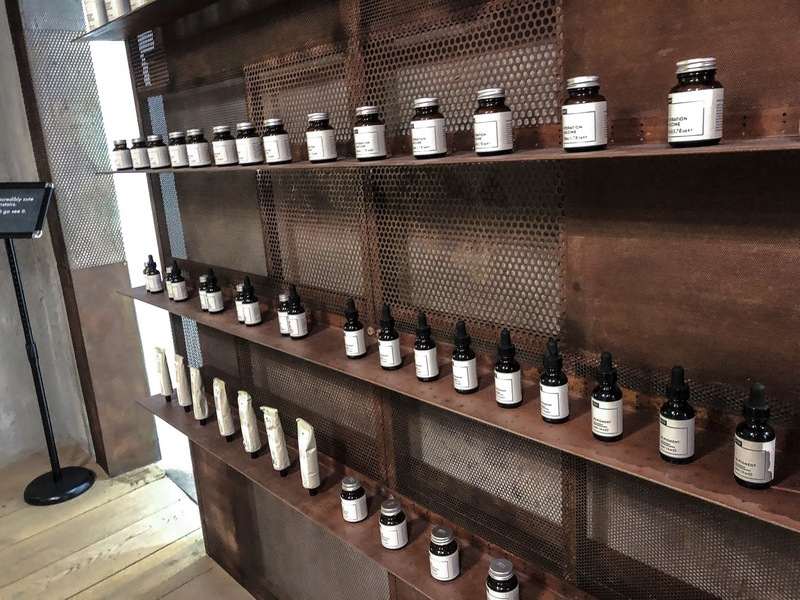 I stumbled across a Deciem store near Seven Dials and I just had to go inside! 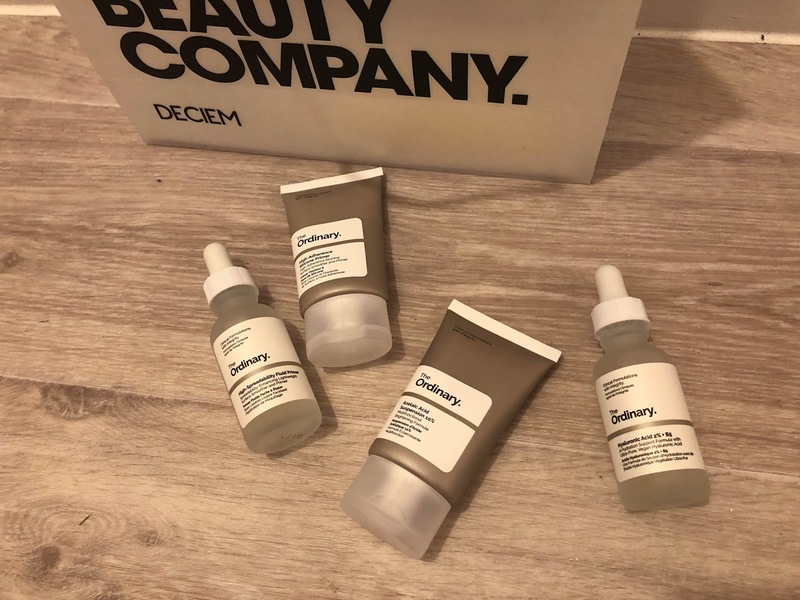 Deciem is home to several lines like Niod, Hylamide, Chemistry Brand and The Ordinary, which are all very scientific, chemistry-filled skincare and makeup brands, with very basic, simple packaging. 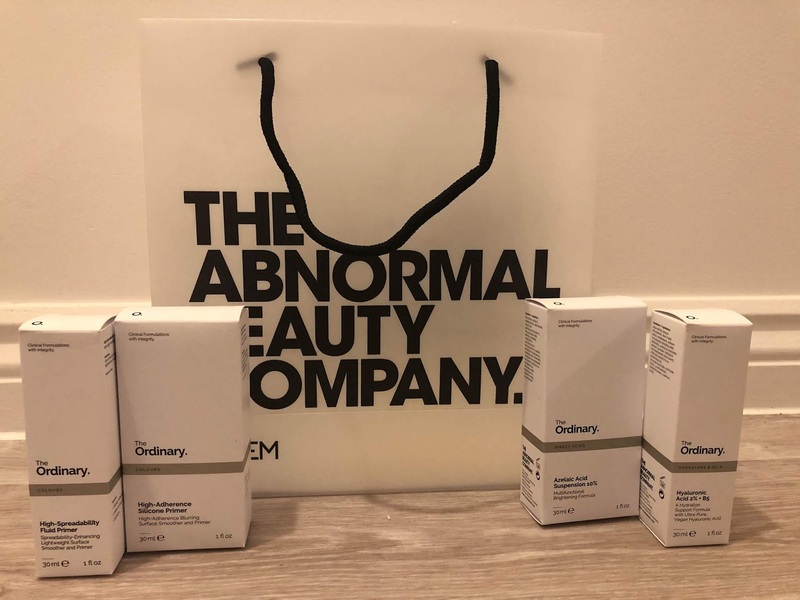 I've had my eye on several The Ordinary skincare products every since their launch and I thought, "it's Christmas, why the heck not!" so I treated myself to a few bits that can help get my skin ready for Christmas and stop it going super dry and flaky like skin usually does in winter. I bought Azelaic Acid and Hyaluronic Acid to control acne and bring moisture to the skin, which are two of my major concerns. I also picked up their two face primers to make sure my makeup stays in place throughout this cold, wet season. I actually wore Kirsty's High Spreadability Fluid Primer as the base on my wedding day, and one would not be considered shitted, it stayed in place all day and I've been meaning to get my hands on it ever since! I would certainly recommend it, so head onto Beauty Bay, FeelUnique or ASOS to grab yours (they're so cheap!!) 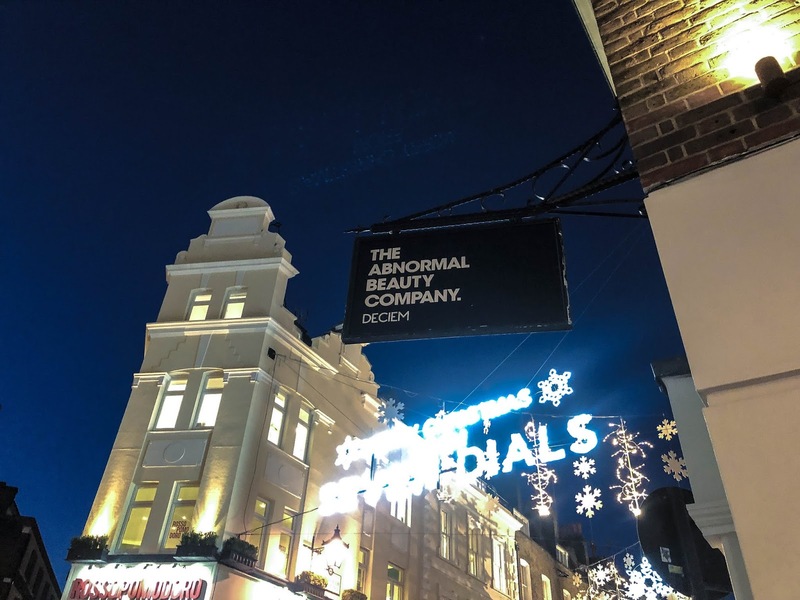 or you can also find a store in the centre of Covent Garden or loads of other locations across the city. This may be a little weird to some, but in winter, I love having ice cream, it doesn't seem so cold when it's already cold outside - if that makes sense. 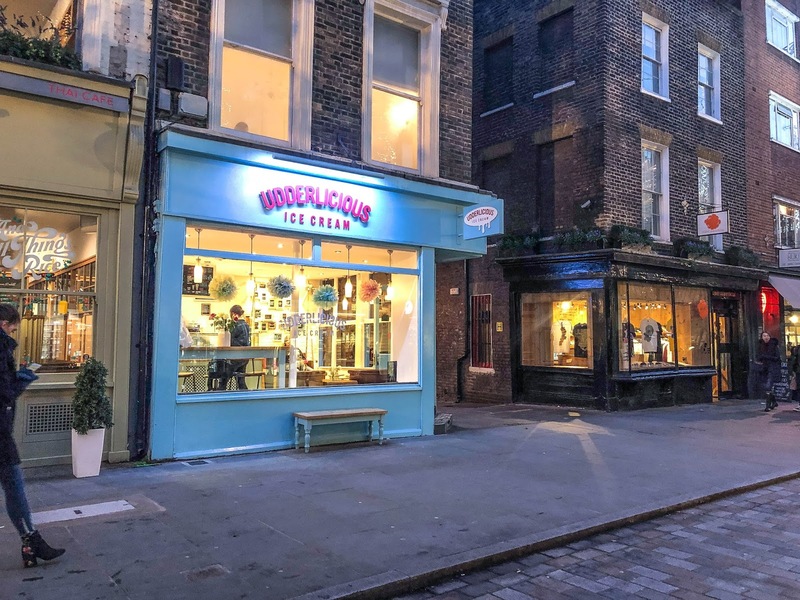 Sometimes I just get a craving for dark chocolate sorbet and Udderlicious on Earlham Street is the answer! 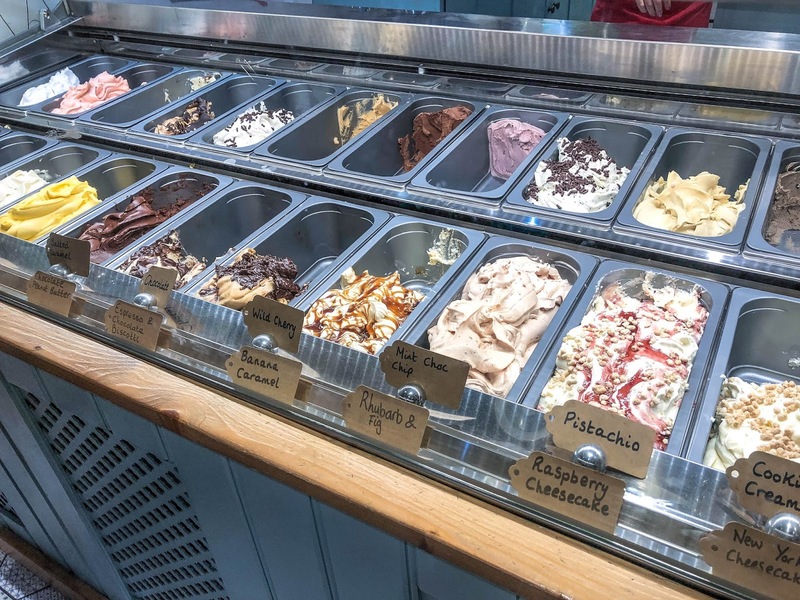 I used to work on Upper Street in Islington, next door to their original parlour and absolutely fell in love with their homemade sorbets and ice creams made right there in the shop. 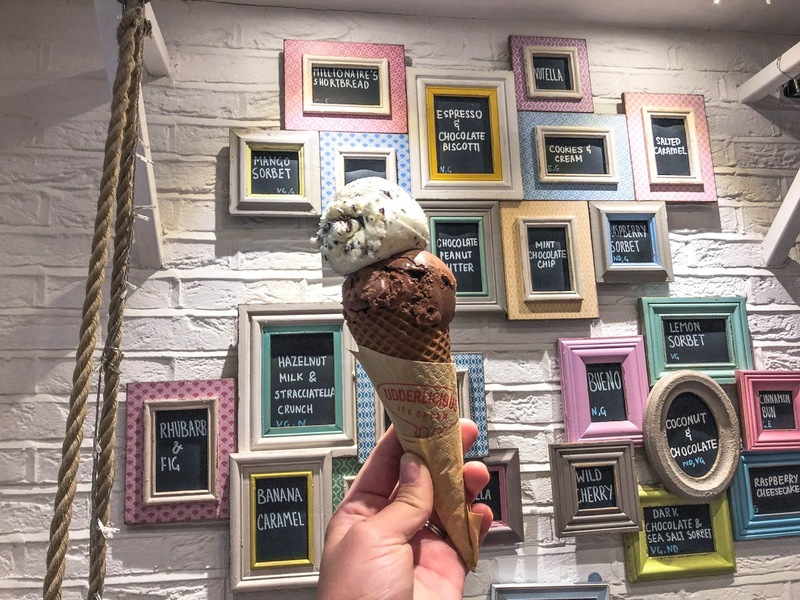 They've always had such inventive flavour combinations, but my all-time-favourite has to be their mint choc chip and their delectably smooth Dark Chocolate Sorbet which I just had to have a huge scoop of each on a chocolate waffle cone - yummy! I would definitely also recommend their Cookie and Cream flavour, as well as the Salted Caramel. Heading into Covent Garden square, cones in hand, we were utterly gobsmacked with the amount of lights, decorations and Christmas trees there were, with every inch of the market doused in glittery, shimmering lights and packed with tourists and visitors all joining in on the festive spirit. 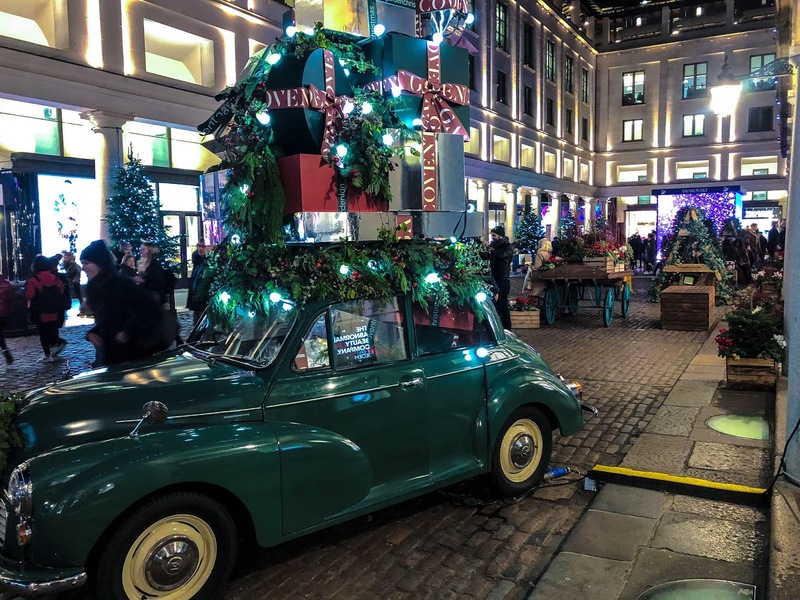 Around the square you could find all sorts of decorations including a HUGE glittering reindeer, an old car stacked high with presents and giant baubles, glitter balls and mistletoe hung from the market ceiling, it really is a Christmassy paradise! 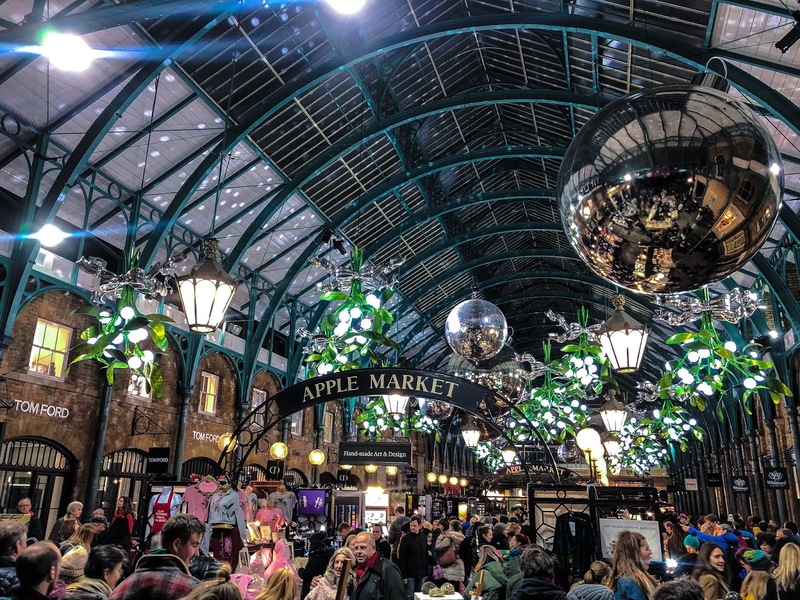 If you're in search of some unique gifts, Apple Market is filled with market stalls selling everything from keepsakes to trinkets, fashion and food, so keep your eyes peeled for a diamond in the rough! 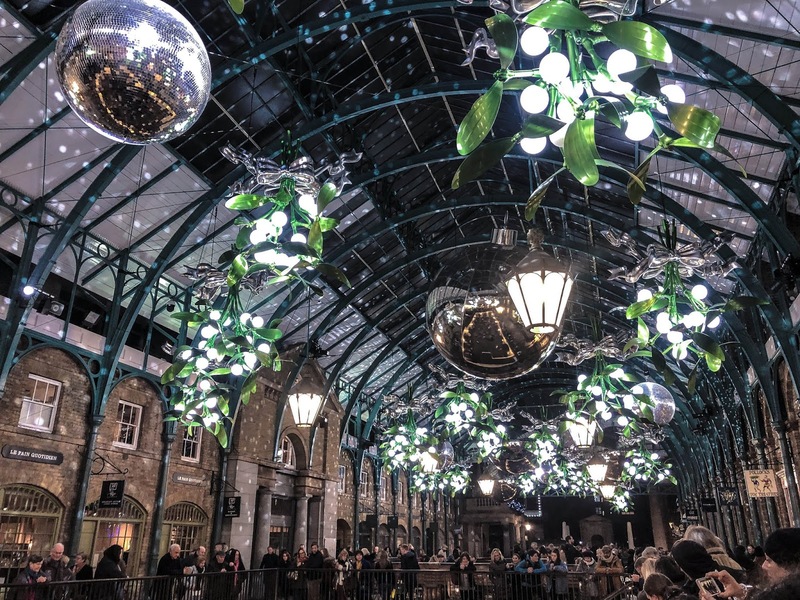 You'll pay a little extra due to the location, but you just can't beat a market at Christmas, especially in this surrounding. 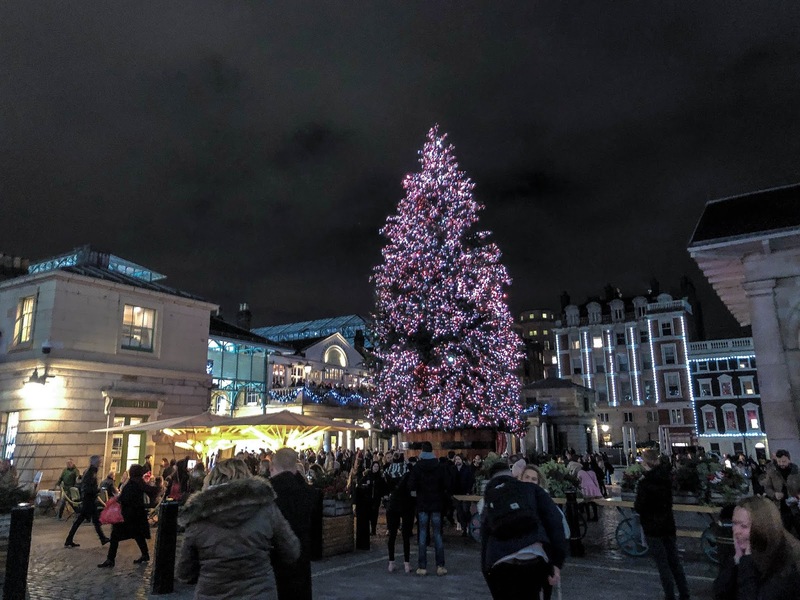 If it's a photo for Instagram you're after, or even a nice festive pic with family and friends, CG has even set up a backdrop of Christmas trees at one of the market entrances for you to pose in front of, like I'm sure you'll have seen many Instagrammers post these past week. 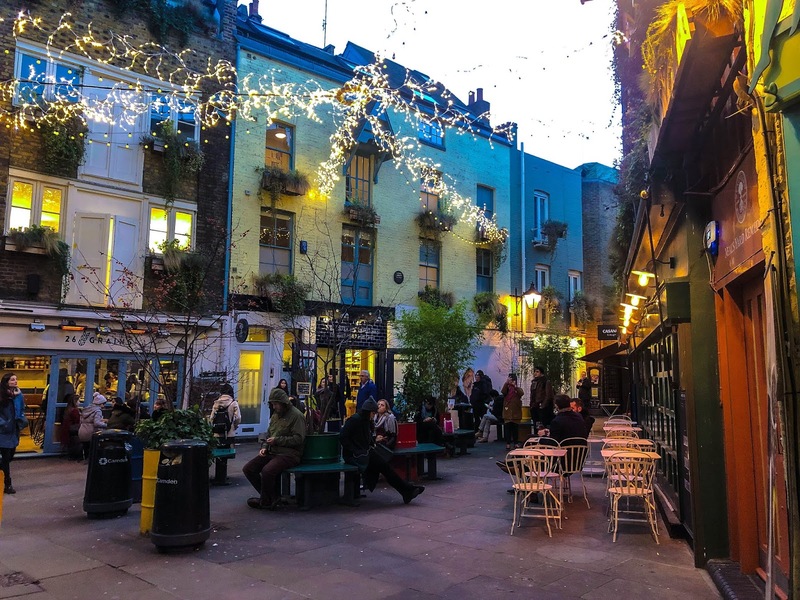 Around the square there are an abundance of high end stores to take your fancy, including a few places to grab a bite to eat, a delicious treat or two, or even sit down for a glass of wine and a hearty meal. On one of the market corners is my favourite place for treats, the beautifully Parisian Ladurée. 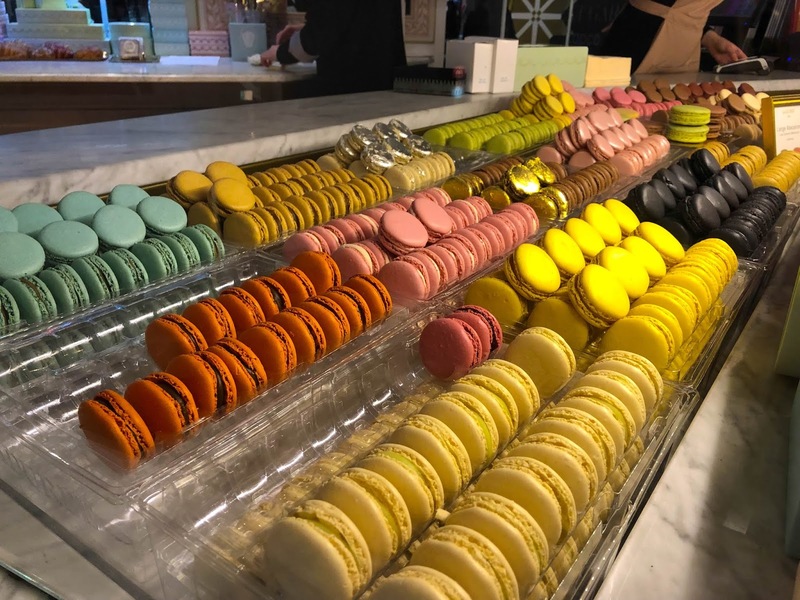 Kirsty and I are a little obsessed with macarons from here, with our favourite store located on Avenue des Champs-Élysées in Paris. 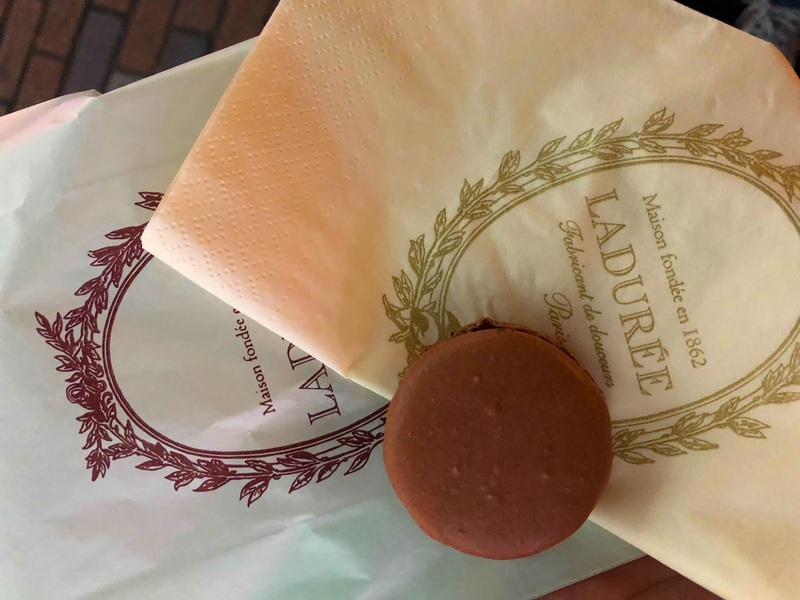 With so many delicious, delicate flavours, I just had to treat myself to a chocolate macaron to fill the empty gap in my stomach before heading home for dinner. 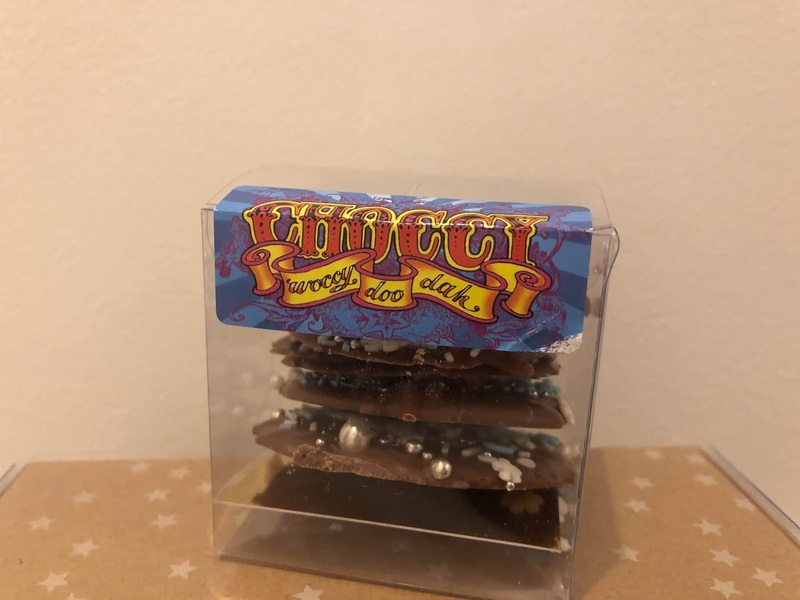 Christmas is all about chocolate and treats right? Before leaving, I had to get in a little Christmas shopping for myself! 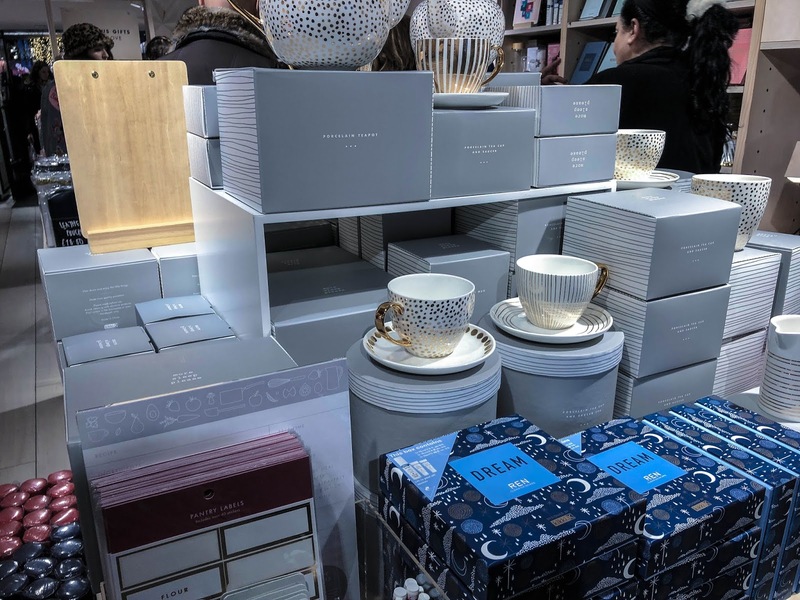 Having just moved into a new house, we haven't got much by way of decorations so I headed to Paperchase and kikki K to stock up. Paperchase has always been one of my favourite stores, not just for stationery, but for decorations, cards and more, I always find the most whimsical baubles in there, and the cutest decorations. 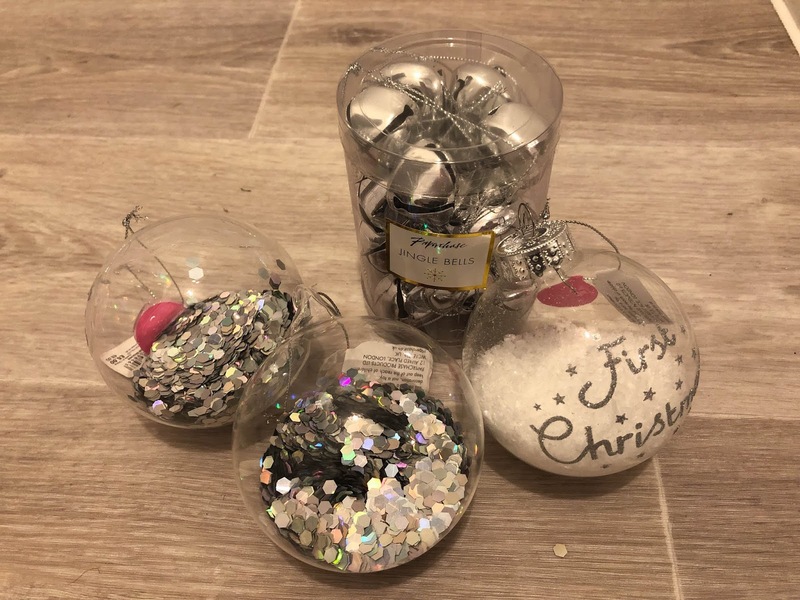 I'm currently obsessed with the idea of a white Christmas, white decorations, white tree, like everything very wintery and beaut, so I picked up a pack of silver jingle bells and three glass baubles to hang on our first ever real tree. I just had to buy one that said 'First Christmas' to commemorate our first Christmas in our first bought home. I just can't wait to decorate! 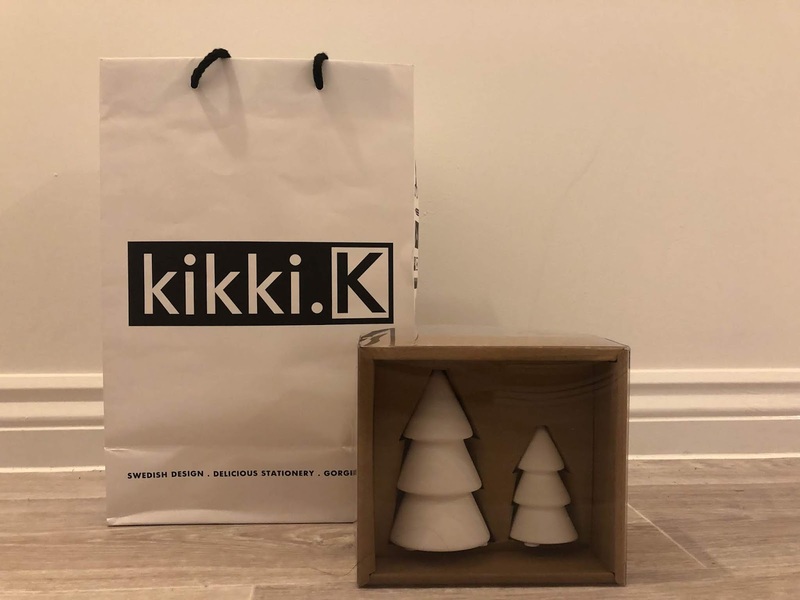 kikki. K is not a store I've actually come across before, but I'm so glad I did. 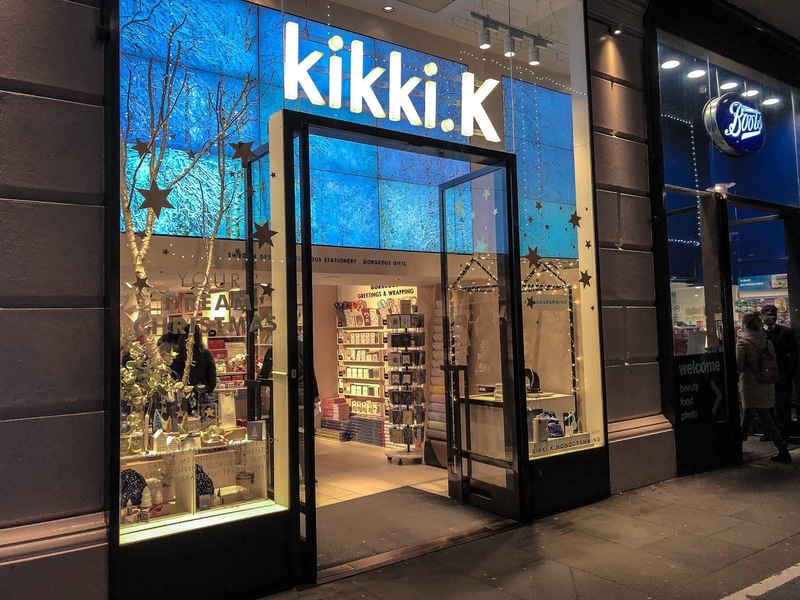 Home to the most beautiful stationery, gifts and homeware, kikki. K is my new favourite brand and will certainly be paying their store another visit, particularly when the January sales hit. I got my hands on some Christmas tree ornaments for my new TV stand. Made of porcelain, they are definitely ornaments that I'll unbox every single year, without fail. They're beautifully simplistic and so in-fitting with their Scandi origins. With all my Christmas decorations bought, chocolate consumed and wholly immersed in the festive spirit, I am counting down the days until the magic day, when I'll be tucked up at home with my husband, wearing matching Christmas pyjamas and spending the day with each other for once, away from the stresses of cooking and being good hosts! With Christmas just 22 days away, how are you getting yourself into the festive mood? N.B. The spending money was gifted by Hotels.com but all views are my own.